It’s ICYMI time for the week of December 29! We hope your bellies are stuffed with delicious leftovers and your hearts full of wonderful memories from this holiday season. Thank you for making our 2017 year so special. We wouldn’t be what we are without our wonderful customers, vendors, and staff. We wish you all the happiness in the year to come and we hope you’ll continue to make your 2018 a little more handmade. Indianapolis City Flags from People for Urban Progress are back and already flying off our shelves! And new vendor, Tandem Ceramics, makes just the cutest air plant holders we’ve ever seen. Babies on the horizon in 2018? 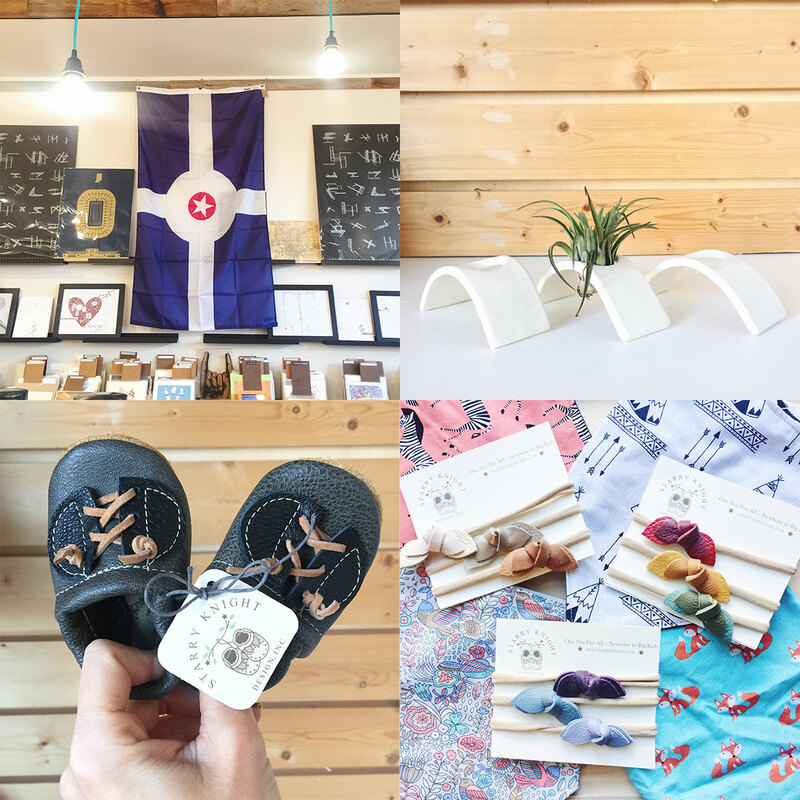 New baby shoes and headbands from Starry Knight Designs are perfect accessories for newborn photoshoots. Add a bandana bib from Cradlemade and you’ll have the most fashion forward babe on the block. You can’t forget to get a gift for the new big sister or big brother in the new year. 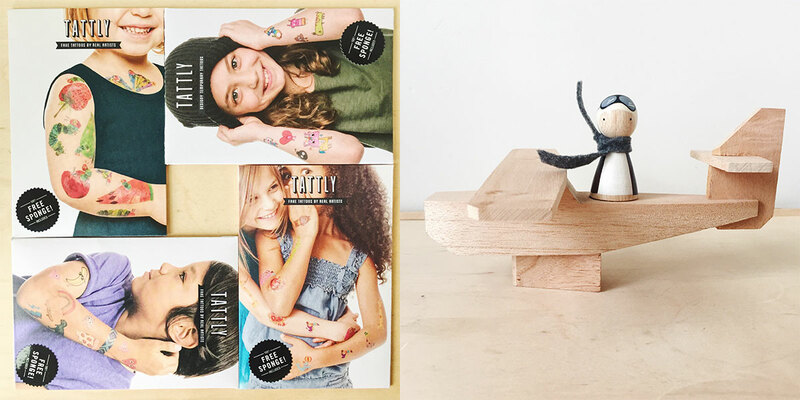 Temporary tattoos from Tattly make a great surprise for that small special someone (and are great party favors too). Keep them entertained with minimal, yet loads of fun toys from Goose Grease Shop. They will be soaring into the New Year! Whether you’re toasting to the host, or to yourself, on New Years Eve, we’ve got the goods for you. Wine bags from Exit 343 Designs are sure to make the party-thrower smile, or your partner giggle as you settle down with some sweatpants and Netflix. 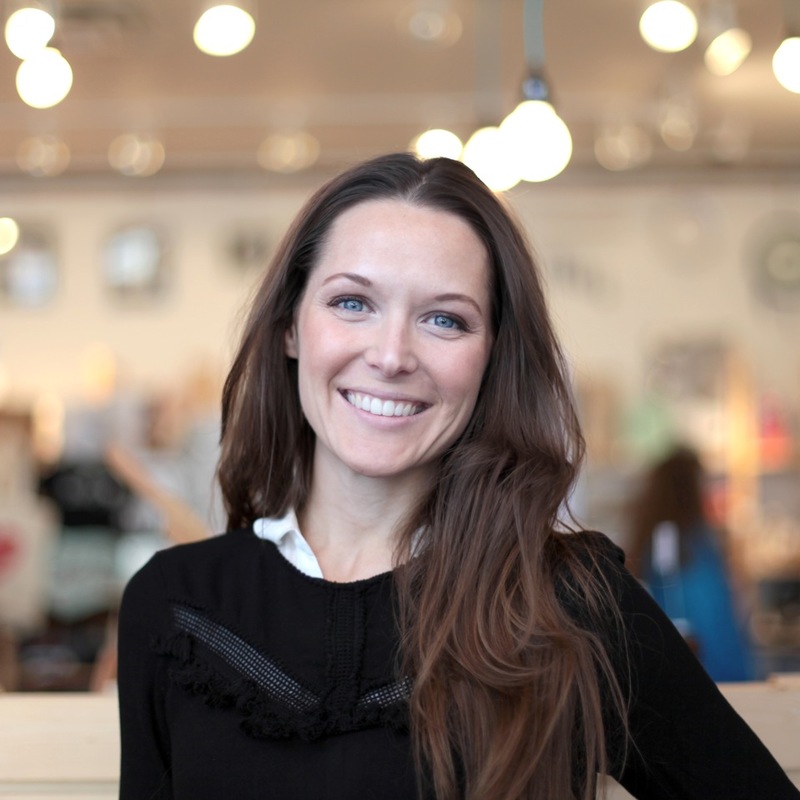 Don’t forget to wear your silver or gold – like the new line from Natasha J. shown above. Plans to spruce up the house in the new year? Come check out our handmade decor, like new desk caddy from Savvie Studio and Indianapolis population print from Cuyahoga Collective. -Your home is about to get a lot cooler. Planning your great escape for 2018? 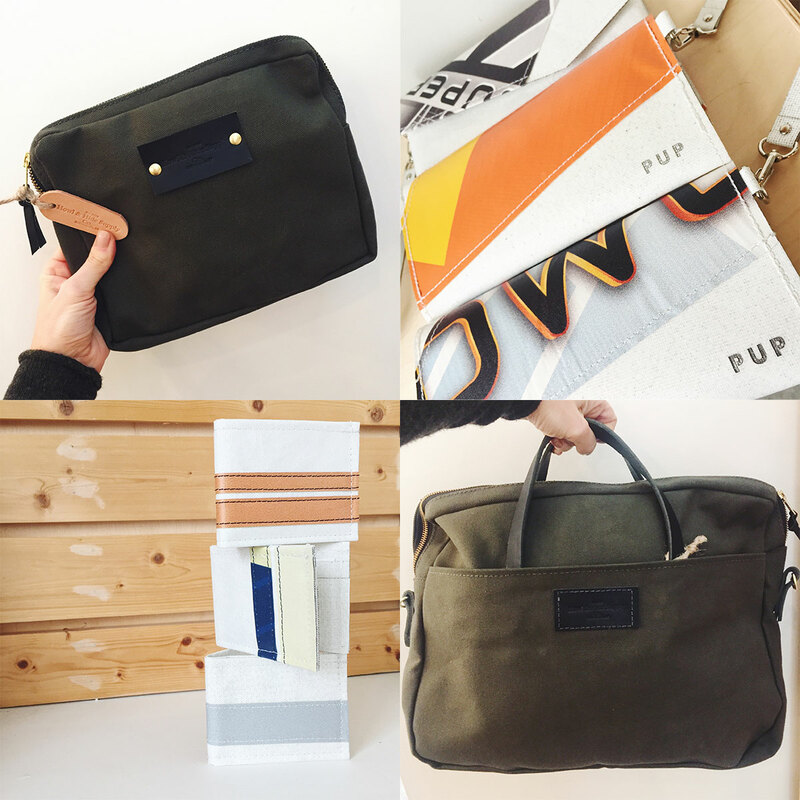 Travel in style with new bags from Howl & Hide Design and new styles of wallets, clutches, totes, and more from People for Urban Progress. 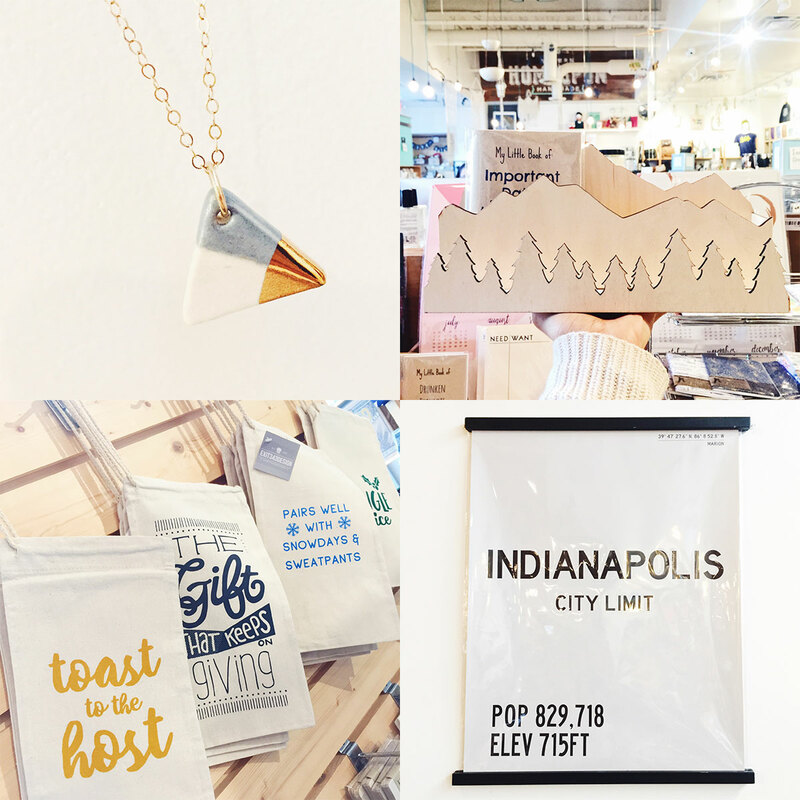 Every month Homespun: Modern Handmade hosts a celebration in collaboration with iDADA’s First Friday events. Our shows change every other month with various artists showcasing work in painting, illustration, photography, ceramics, and so much more. For the months of January and February, we invite you to take a look at the work of Herron School of Art & Design graduate, Grace Beck. Finely detailed, continuous line work is juxtaposed against texture, -paying homage to Grace’s background in both drawing and sculpture. 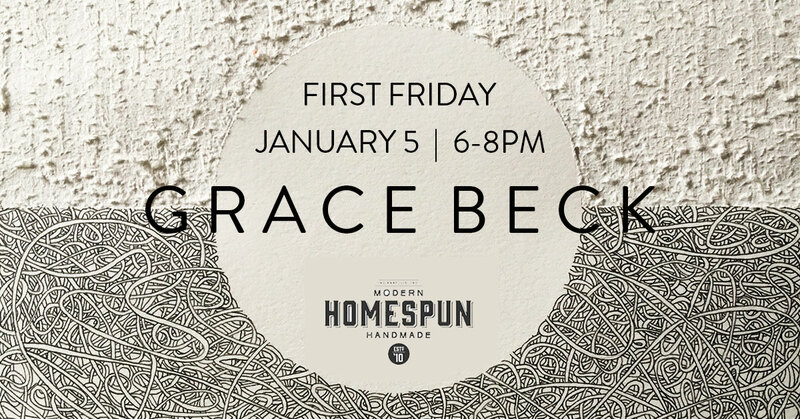 Complete with treats and refreshments, we will have an opening reception of the work on First Friday, January 5th from 6pm-8pm in store. We look forward to seeing you then! 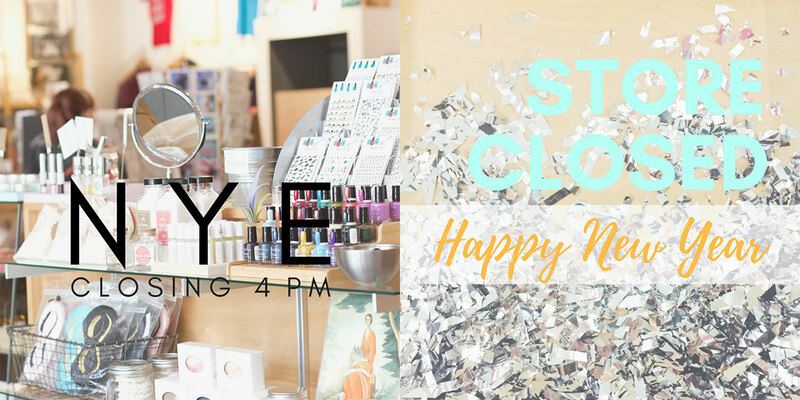 Don’t forget our holiday hours for New Years Eve! And then we’ll be closed all day on January 1st! We look forward to bringing you even more handmade in 2018! Thanks again for making our 2017 A-mazing! Happy New Year everyone! Love the post! I must say my favorite thing were those tattoos for kids, so cool! Thanks Isadora! We love those tattoos too!